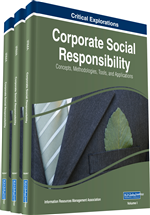 We consider it urgent to reflect on the need to build a new Corporate Social Responsibility that will in turn have a direct impact on a comprehensive human resources executive on a personal level. This professional will be competent in social skills, proactive, a specialist in avoiding conflict and a true part of the company's social aspect. Training is the essential tool to achieve this. This training must focus on thinking about values, must delve into the two-way humanist ideal that education gives, must value it and transform it afterwards. Also, it must take into account the student's interests, motifs and willingness so they may be able to establish the necessary interrelations that will allow for the connection between the individual's personal life and society. The transition to a new model underwent an acceleration of sorts in 2015, with the international backing to the new Sustainable Development Objectives, today under construction within the United Nations framework. These Objectives are relevant to every single person across the globe. For this immediate stage, we need a new development that while still keeping in check company’s irresponsible behaviours, also looks at the existing opportunities to create an added value for the company and society. That’s how M. Escudero, Managing Director of Deusto Business School put it in article published in “El País” newspaper on 02/09/2013: “A new model and company’s new role”. In the context of the European Union, Europe 2020 Strategy’s title is in itself a true declaration of intent. It’s a Strategy for “An intelligent, sustainable and integrated growth.” To achieve this, they take into account a variety of flagship initiatives, central for 2020’s Europe. All of them make reference to Social Corporate Responsibility (SCR) and these stand out: An integrated industry policy for the age of globalisation, the European Platform against Poverty and Social Exclusion, the New Qualifications and Jobs Agency, the Youth in Movement and the Single Market Act. The Union for Innovation, whose goal is to reinforce companies’ ability to strengthen their response to social issues through innovation, and in turn their contribution to the common and symbolic objective of efficiently using resources, also stands out. All of this literature works as an introduction to let us focus on what we consider to be the thread through which an effective world strategy to change is woven: the human factor. We are witnessing a certain return to a person-centric approach, to think that values or moral principles are the necessary anchoring elements that let us not be washed over by the transforming changing process, in itself invading. This fast-moving and revolving change context has by force had repercussions in company environments. The human capital, regardless of company size, has ended up being sensitive to a society that, for too long a time, has been living with uncertain on such central questions as the pillars of the aforementioned European Strategy. It’s also important to remember other factors, such as the world’s financial system’s sustainability, the new role of the West in the face of direct challenges (cultural, political, geographic, jihadist threats, etc.) or the old world challenges –climate sustainability, food sourcing, energy, etc. To all of this we must add a specially important factor: the social instability caused by corruption and lack of transparency. We are convinced that the sum of all these variables is affecting people in a major way in something such as a heightened social conscience. There’s more concern from the individual for all that affects them and their environment. From a collective standpoint, we find clear examples of this in the birth of social movements that, in some cases, are having a direct repercussion in the political sphere. This new model has been seen in Italy in the “Five Stars Movement” from the comedian Bepe Grillo, “Syriza” in Greece or, specially, in the case of “Podemos” in Spain. Facing this, as a result of the ongoing problems and the lack of world leadership to assume these problems with some rigour, organisations and business people have learnt to live with them, even to lead CSR politics in their environments, seemingly closer than various Government’s own policies. In spite of all this, it’s still true that in the context that we’ve so briefly described, it appears as if we’ve lost our aim. There are no references upon which to look to begin constructing social projects. Everything appears to be at the hands of think-tanks. With this we mean that obligations or moral responsibilities, ethical attitudes, education’s guiding principles and coexistence, individual values and principles are left behind or even all gone in society’s social values. Today’s person seems to levitate and float above the world without cares or concerns and a lack of critical spirit other than the state of outrage in which we are installed, but undecided as regards to the next step to take. Like Hosbawm (1995, 13) pointed out, it’s a type of present without an organic relationship to the past as related to the time they live in. So, without the essential basis of values or ethical principles, it’s extraordinarily complex to build and environment where there are true social responsibility actions that don’t only have cosmetic value and hardly make an impact on the final beneficiary of this action.